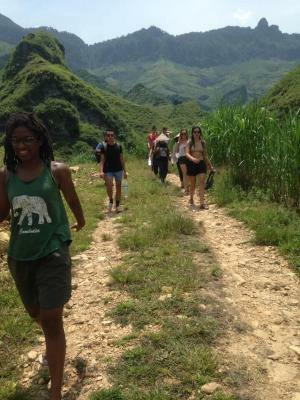 Lock in a great price for Du Gia Backpacker Hostel & Trekking – rated 8 by recent guests! Amazing family homestay, very kind and helpful. Family dinner is the best part the interaction with them was so cool. They also helped me to take my bike to the mechanic. I highly recommend this place! I had my birthday when we stayed there, and they surprised me with 'happy birthday' sign in the room, songs at the family dinner and even a gift! Such a warm place to stay Thank you so much! The atomosphere was really warm and welcoming and the family dinner was also very good with lots of variety for vegetarians and meat eaters, you also get lots of corn wine which the children make sure you drink! Would highly recommend this place to anyone in the area. Located at the center, with very helpful staff who speak english very good. We stayed at the more quiet building, so it was not that clean, but the staff cleaned it. Bathroom was okay with good shower. Only a minute away from the local traditional market. The best was the breakfast. It was satisfying! Pancakes were generously served with honey, apple slices, condensed milk, bananas. Omelette was served with a warm baguette and tomato slices. Coffee was very good! We stayed for 3 nights and the villagr itself was the best thing we experienced in Vietnam. People were nice and friendly, and children would wave to you everytime. Staff were lovely, warm welcome & good information given. Family diner available. Location excellent for the loop. Drinks available. Pool & football table. The staff were amazing and friendly. They made sure we had a good time all night. Family dinner was great and they provided an awesome atmosphere. We had a blast! 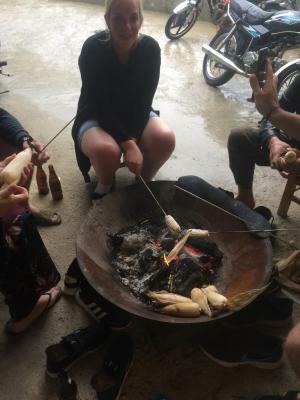 The best homestay in all of Vietnam.. The staff is so caring and nice, the food was amazing and super cheap. We also rented the bikes for the loop after we checked all the other rental places and in here it was the cheapest price and the best bikes. 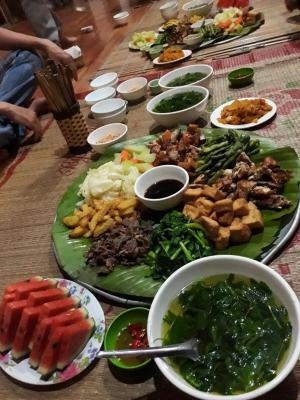 This homestay is a must in ha giang. 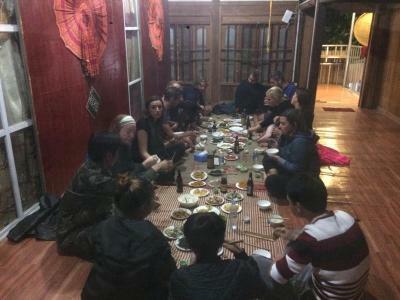 Featuring free WiFi and a restaurant, Du Gia Backpacker Hostel & Trekking is a family-run accommodations in the village of Làng Cac. Guests can enjoy the on-site bar. Free private parking is available on site. All rooms are fan-cooled and have mosquito nets. Towels and linen are provided. There is a 24-hour front desk at the property. You can play darts at this hostel, and the area is popular for cycling. Guests can explore the local market in front of the hostel every Saturday where ethnic minorities trade and sell goods. Guests can enjoy home made meals at the on-site restaurant. 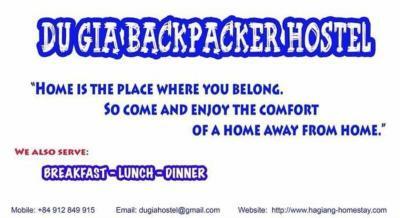 When would you like to stay at Du Gia Backpacker Hostel & Trekking? 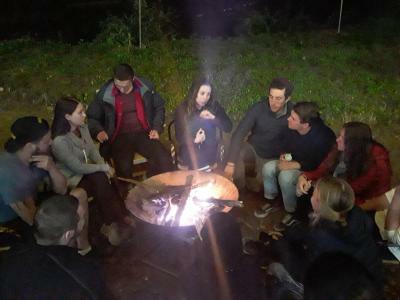 House Rules Du Gia Backpacker Hostel & Trekking takes special requests – add in the next step! Any additional children or adults are charged VND 163223.51 per night for extra beds. the beds were unreal hard. it still hurts to think about....or wait was that my happy water hangover? no seriously. you can not come to this town and expect a luxury hotel or some kind of pampered stay. if that's what you want then don't go to du gia. this family is running a beautiful fun business in a very remote part of the country. The room I stayed in (dorm 5) felt quite grubby, this may be because it could do with a bit of a paint. Shower pressure was the worst I’ve had on this trip so far. Bed comfort was also the worst I’ve had in SEA to date. The room and the bathroom have a lot of holes in the walls which allows a lot of insects (spiders, moths, cockroaches, mosquitos etc). Dinner was quite expensive compared to other paces we've stayed at during the loop. Wifi didn't work in the room (it did outside). Staff was really friendly but didn't speak a word english, which was not problem for us but a lot of people did have some trouble checking in. Room was quite spacious. They had a pooltable. Atmosphere was good. Better parking for scooters but it wasn't a big problem. Uninterested, lazy Western staff hanging around the couch all day not knowing how to organise things. Weird. Could not close the door of our room without locking it. No hot water. Family diner is expensive, they charge more than any other restaurant in town. 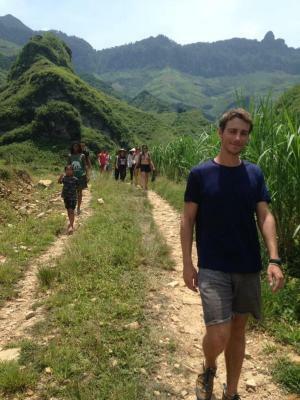 Location is great when you do the Ha Giang loop. Lots of rubbish close to the hostel. Very central and friendly staff. Amazing place to stay the night and the family meal was great, with a lot of happy water! 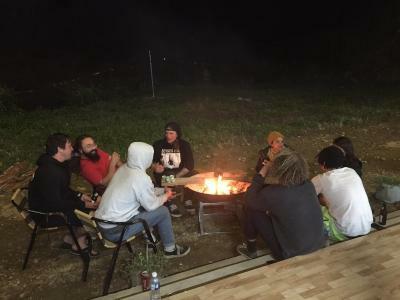 If you will meet load people it could be hard to sleep but in our case everybody were on motorbikes and get up early to continue travel so there wasn't any problems! Very nice stay, bilard, beers and other staff in free access fridge, you pay for everything on check out. Very good place for people integration.